Very happy that Jason agreed to do this post. 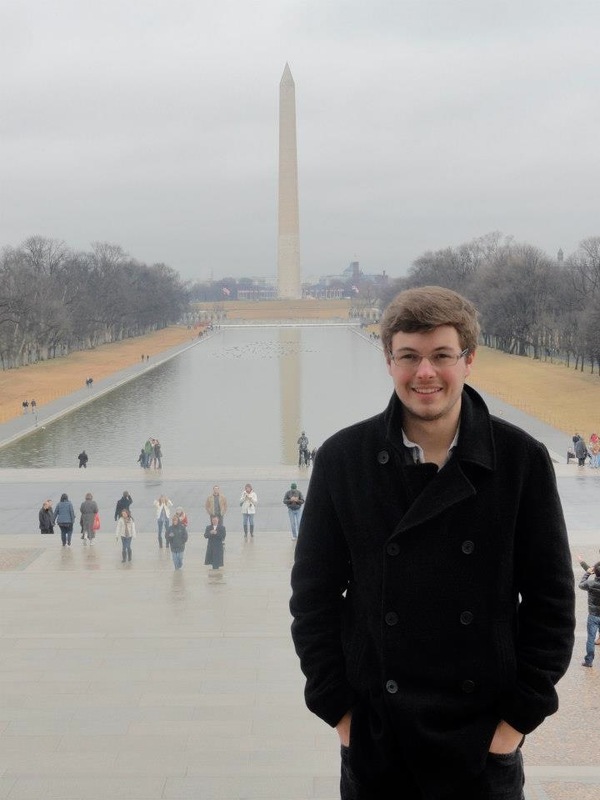 Jason is a friend and colleague, but also an up and coming leader of both Ed Tech and education as a whole. Enjoy! Things (App): This has probably been one of my favorite apps on my iPhone. With the hectic schedule of a teacher, there’s always a lot of tasks that I need to accomplish in a given week. This app really helps me organize my tasks and my to-dos, which allows me to be more productive. Another feature I really love is how the app allows you to make tasks for big projects that you want to accomplish. Overall, this app has really improved my daily productivity and organization. Evernote (App): What tech user does not love this app? It’s a great resource to take notes on your iPad or iPhone and have it synced throughout all your devices. I especially love it when I’m away from my computer and I think of a lesson idea or resource I could use within my curriculum. I’ve also been experimenting with taking note on Evernote during department and staff meetings or even profession development days. It can be tough to type notes on an iPhone, but it keeps my notes organized and their always available on my computer. Twitter (tool): This is easily the one tool I could never live without. Checking my Twitter feed is a daily routine for me. My twitter feed contains various educators, edtech sites, news sites, and social studies handles that provide great resources and ideas that I can implement in my classroom. I also use twitter to share the lesson plans and ideas I have to get feedback from educators around the world. Twitter provides great opportunity for teacher collaboration that goes beyond the school district. What apps/tools/software have you repurposed from its original goal or end product? The Twitter Project: One of my big projects during my student teaching was incorporating Twitter as an educational tool within my classroom. I wanted to use Twitter as a source for students to express their ideas, understandings, or misconceptions throughout class. Whatever we say or write becomes an expression of our position, giving voice to our ‘speak consciousness’ no matter the context. I developed a class Twitter handle for students to tweet using their mobile devices or devices I provided for them. 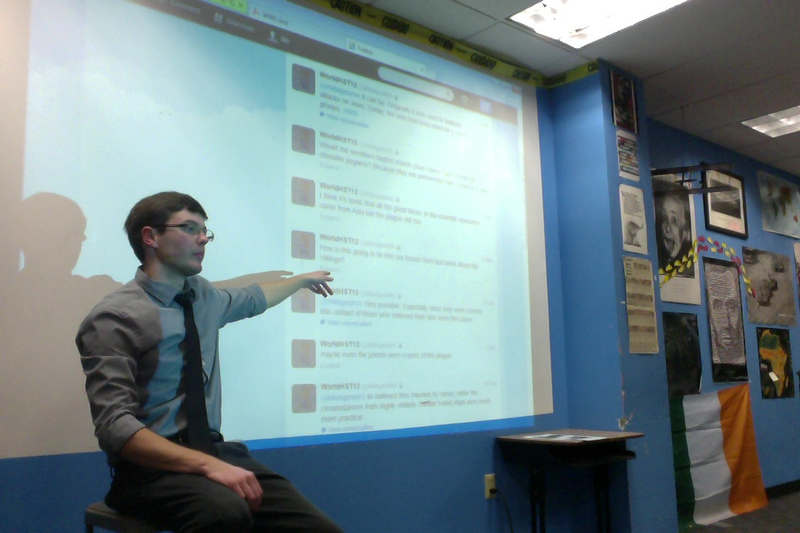 During class, I projected TweetDeck on the side where students could Tweet anytime throughout a class period. It created a “backchannel” for students to express their thoughts, concerns, or questions they may not have asked during class. It provided a great space for students who are normally shy or embarrassed to share their voice in class and also create student collaboration inside and outside of class. It also allowed for myself to check for student understanding and questions throughout class. QR Codes: This great piece of technology was inspired from none other than Kyle Shack. Reading his experiences and utilization of QR codes really inspired me to try and incorporate it within my own curriculum. I developed a Bantu Migration simulation where students were divided into various African tribes and engaged in their own migration throughout the school. QR codes helped navigate the students through the school, provided various information and factors for migration. QR codes really provide a great way for students to quickly access information while utilizing technology. Share an Ed Tech tip! Know when to use educational technology to its full potential. Allow any Ed Tech tool and resource as a way to create new tasks and improve the learning experience. What is one app/tool/software you would like to learn more about? I would love to learn more about Coding and how to do it. It would be a great skill to have both inside and outside the classroom. Edutopia, T.H.E Journal, and Education Week are great Twitter handles for ideas and resources when it comes to Ed. Tech. David Warlick is a veteran teacher who provides excellent feedback on Ed tech knowledge on Twitter. Even simply just plugging in #edtech on Twitter contains hundreds of different perspectives, tools, and resources that current and future Ed Tech enthusiasts can utilize within their teaching practices. Never be afraid to try something new, especially when it comes to Ed Tech. Nothing you incorporate, with regards to technology, will ever work perfectly the first time. Ed. Tech is just like cooking, you have to constantly refine, adapt, and improve the process in order to make a great final product and a better learning experience for the students. Is there anything else you would like to add that you think the Ed Tech community would enjoy/find useful? Using Ed Tech is a tough busy and it’s even more tough doing it alone. Utilize resources, educators, and tools in order to make the process easier. There are a lot of great educators and tech enthusiasts who have great ideas when it comes to incorporating technology within the classroom. Blogs, websites, and Twitter are great tools to help build and improve your ed tech knowledge base and arsenal. Next ›How secure is your student’s data?